The initiative combines informative elements on the research project SCREEN-DR with a photographic project materialised in a number of images and videos, together with several conferences under artistic and technological point of views. The opening of the photographic exhibit is on 23 February at 4:00 pm at MIRA FORUM, in Porto. Aurélio Campilho, coordinator of C-BER and Full Professor at the Faculty of Engineering of the University of Porto (FEUP) and Renato Roque, photographer and trained as an engineer, are the coordinators of the set of events that make up this initiative that we're disclosing. In the screening of diabetic retinopathy, specialised digital photographic cameras are used to obtain images of the retina. These cameras have been challenging researchers to create computational systems that support the medical diagnosis, combining Medical Image, Computer Vision and Artificial Intelligence. They also challenge Renato Roque “to build objects with photographic and artistic significance from images captured strictly for medical purposes". 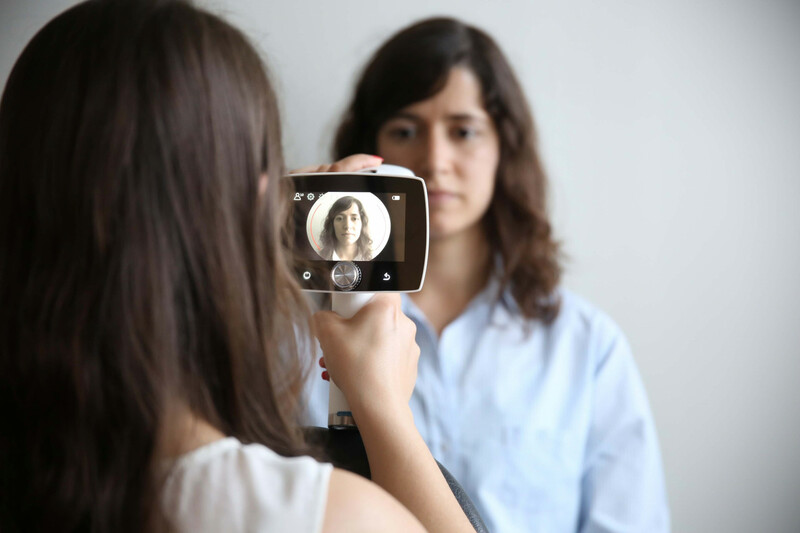 As every ocular fundus is a biometric trait, Renato Roque decided to produce a video and a number of self-portraits of the collaborators that were involved in the project from images of the ocular fundus. “Outros Retratos e Auto-retratos”(in English “Other Portraits and Self-Portraits) is the name of the photographic and video series, which are part of the exhibition. - March 9 at 4:00 pm, “A cegueira como forma de visão na poesia e fotografia” (in English “Blindness as a form of vision in poetry and photography) by Renato Roque; and “A Imagem Médica. Abordagem histórica” (in English “Medical Imaging. A historic view ") by Manuel Valente Alves. - March 16 at 4:00 pm, “A imagem médica e o rastreio” (in English “Medical imaging and screening”) by Fernando Tavares; “A imagem médica e a inteligência artificial”(in English “Medical imaging and artificial intelligence) by Aurélio Campilho; and “Ver a Saúde com outros olhos” (in English “Perceiving Health through different eyes”) by Constantino Sakellarides. The exhibit “Outros Retratos e Auto-retratos” (in English “Other Portraits and Self-Portraits”) can be visited until March 16. Diabetic retinopathy is a complication of diabetes, one of the fastest growing diseases worldwide. It’s the main cause for blindness in the industrialised world, and its treatment can be successful if diagnosed early, hence the importance of the screening operations. The SCREEN-DR platform is based on artificial intelligence technologies that evaluate the image quality collected from the ocular fundus, detects the normal images and assigns a degree of severity to the pathology, thus helping the decision making process of the ophthalmologists. In addition to INESC TEC and FEUP, the SCREEN-DR project has the collaboration of the Carnegie Mellon University (USA), University of Aveiro, Administração Regional de Saúde do Norte and BMD Software, and the collaboration of the São João Hospital Centre and First Medical Solutions. It’s funded by the Science and Technology Foundation under the Carnegie Mellon Portugal Program.